Jim Bartz is a certified public accountant and serves as the Chief Financial Officer at the Keller Williams Plano Market Center. 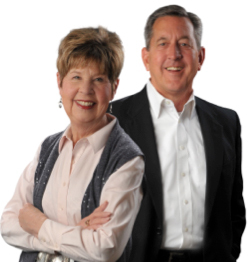 Jim works closely with Sally and serves as the perfect partner to ensure that his financial expertise compliments Sally’s exceptional customer relationship abilities. I have been serving the Dallas Metroplex as a Loan Officer since 1998. Upon receiving my MBA from Texas A&M University in 1992, I worked as a financial and Economic Analyst for two Fortune 500 companies. In 1996, I joined Pulte Homes as their Asst. Controller where I gained valuable knowledge of the homebuilder business. Realizing my desire to serve the public, I began my career as a Loan Officer in 1998. My experience includes tenures with both a Mortgage Broker and currently a Mortgage Banker. My vast financial background coupled with my strong sense of customer service has enabled me to be one of the area’s top-producing Loan Officers. Helping families realize the dream of home ownership is my passion. Over the years, I have been able to assist families obtain financing, many of them for the first time, and it never gets old. To me, its always been more than a job. The satisfaction and pride I feel each time one of my Borrowers becomes a Homeowner is indescribable. Each one is an emotional investment for me as every Borrower is more than just a loan, they are friends, neighbors & my community. My extensive experience as a Loan Officer and knowledge of the industry allows me to tailor each loan to meet the specific needs of each individual. Everyone’s story is different, so no one loan will fit everyone’s needs. My job is to find that perfect fit.